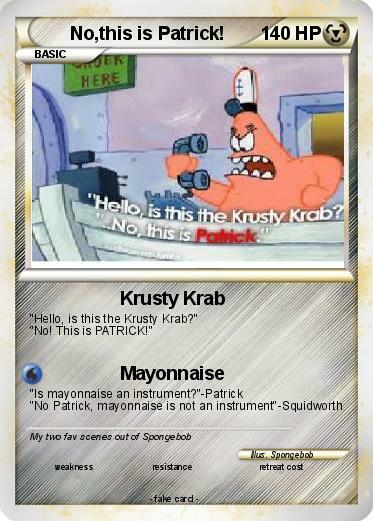 Name : No,this is Patrick! "Hello, is this the Krusty Krab?" "No! This is PATRICK!"